You can do this from your Bark mobile app or via your computer web browser. Step 2: Select Alert Settings. 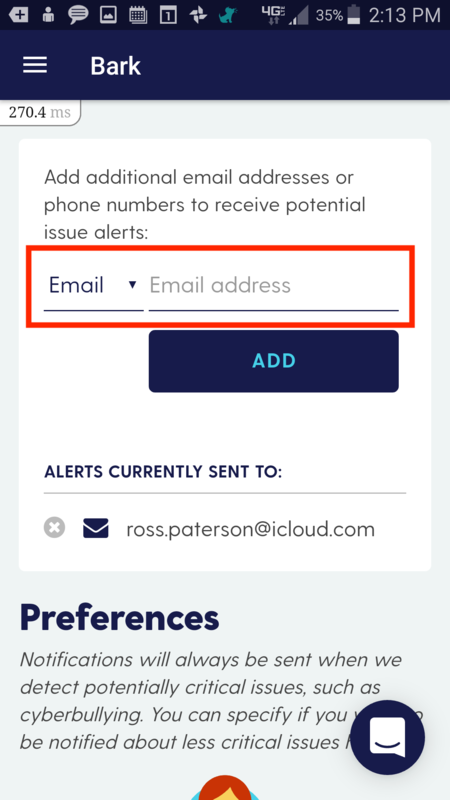 Step 3: Enter an email or phone for the parent or guardian, and select Add. Note If one person has reviewed an issue, it will be marked as "read" or "Reviewed." Please adjust your filter to "Reviewed" to find an alert your partner may have seen, but that you have not. Step 1: From your dashboard, select Alert Settings. Step 2: Enter the email or phone for the parent or guardian, and select Add. 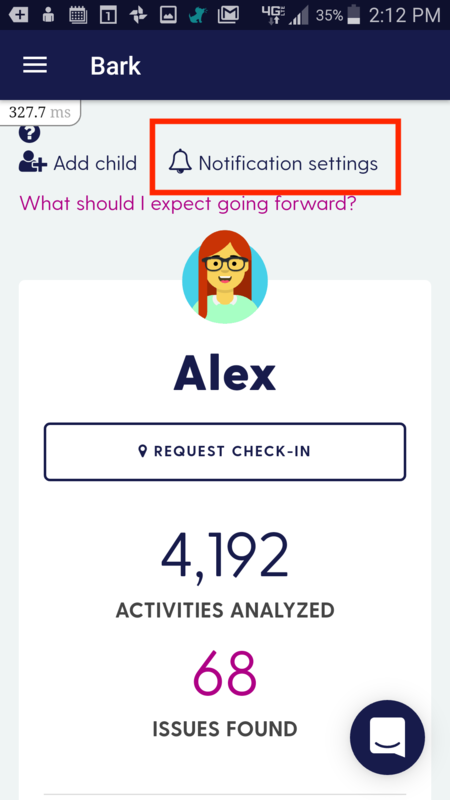 If you have any questions about this feature or anything else, don't hesitate to reach out to us!